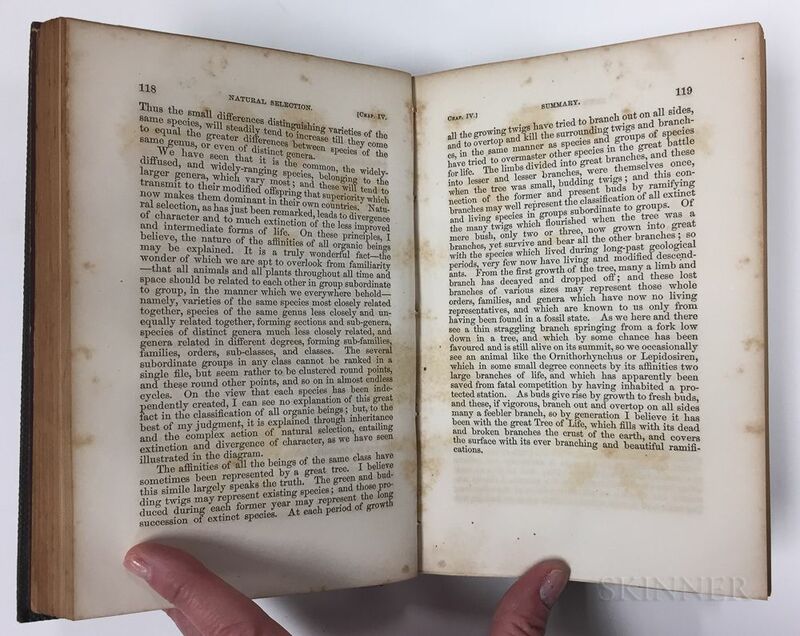 Darwin, Charles (1809-1882) On the Origin of Species by Means of Natural Selection , First American Edition. 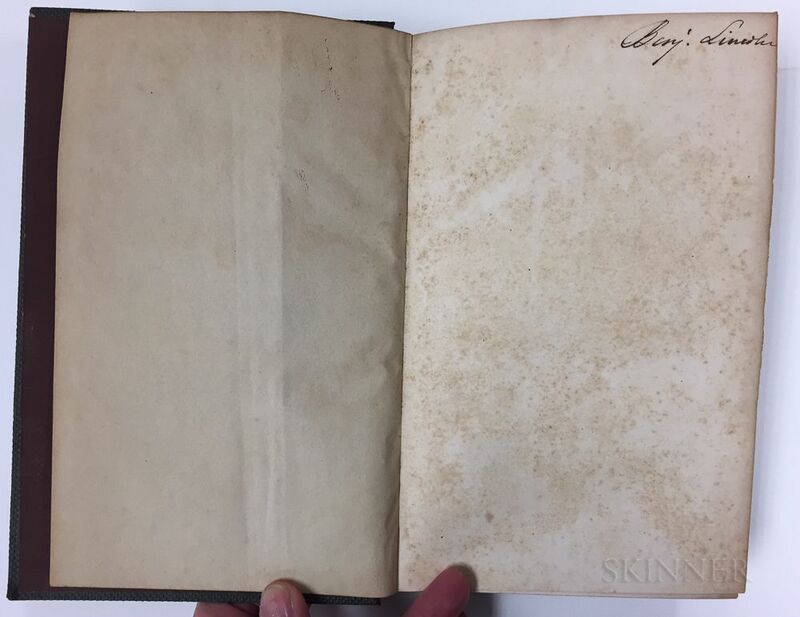 Darwin, Charles (1809-1882) On the Origin of Species by Means of Natural Selection , First American Edition. Darwin, Charles (1809-1882) On the Origin of Species by Means of Natural Selection , First American Edition. 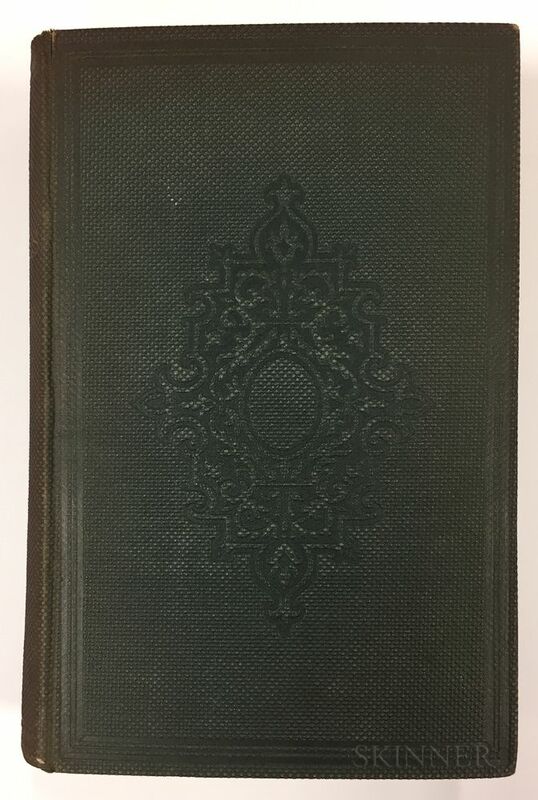 Darwin, Charles (1809-1882) On the Origin of Species by Means of Natural Selection , First American Edition. 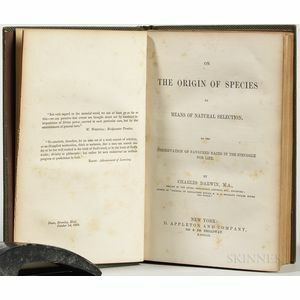 Darwin, Charles (1809-1882) On the Origin of Species by Means of Natural Selection , First American Edition. 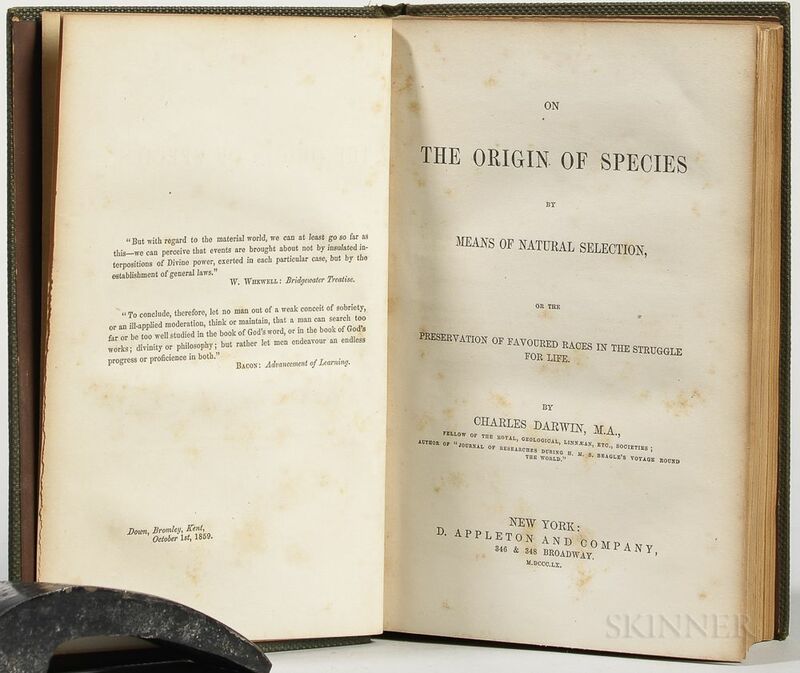 Darwin, Charles (1809-1882) On the Origin of Species by Means of Natural Selection , First American Edition. 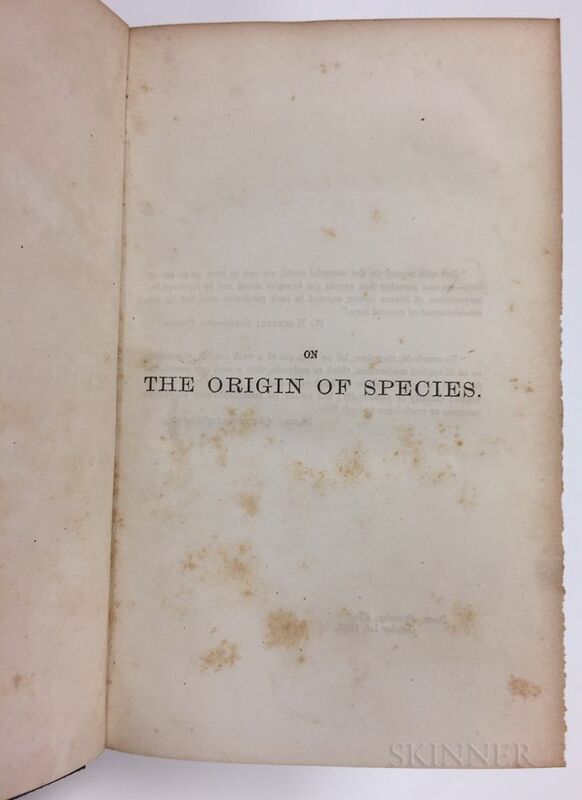 Darwin, Charles (1809-1882) On the Origin of Species by Means of Natural Selection , First American Edition. 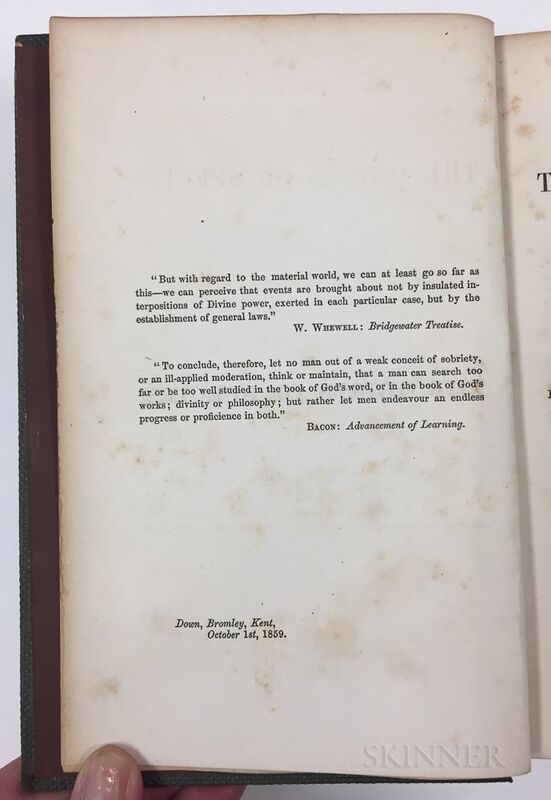 Darwin, Charles (1809-1882) On the Origin of Species by Means of Natural Selection , First American Edition. 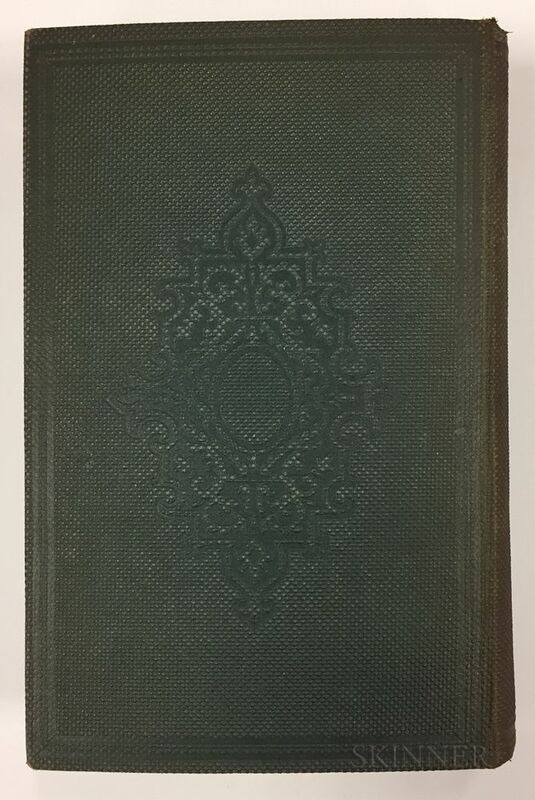 Darwin, Charles (1809-1882) On the Origin of Species by Means of Natural Selection , First American Edition. 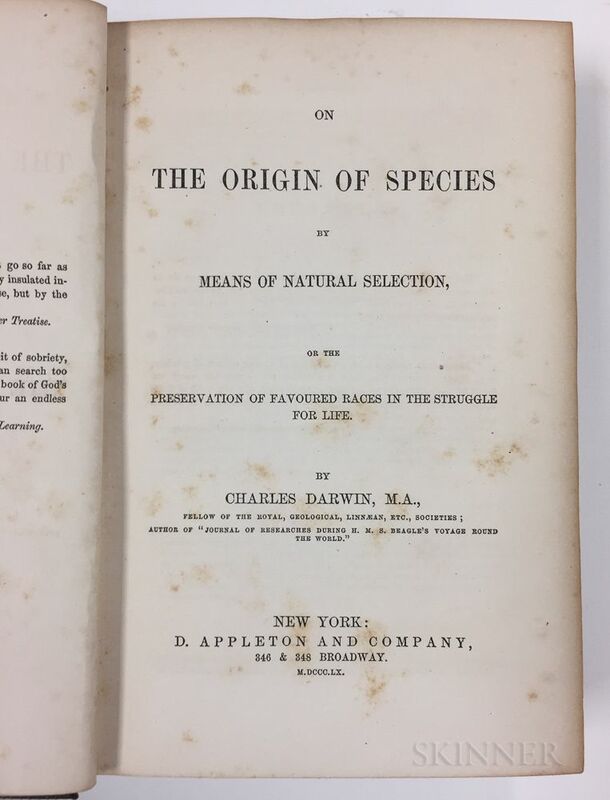 Darwin, Charles (1809-1882) On the Origin of Species by Means of Natural Selection, First American Edition. New York: D. Appleton & Co., 1860. 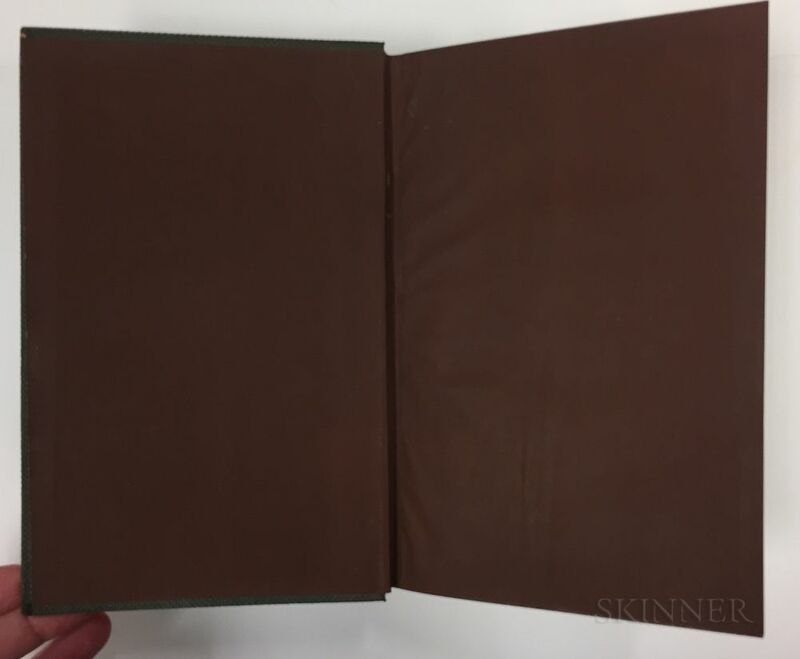 Octavo, bound in publisher's green textured cloth, tooled in blind, lettered in gilt on spine (spine sunned, somewhat chipped at head), some spotting to text, 7 3/4 x 5 in.